Cristina Henriquez says she didn't realize literature could be about cultures other than the Anglo culture until she was in graduate school. "I picked up a collection of American short stories and read an excerpt of 'The House on Mango Street,'" she told The Review this week. 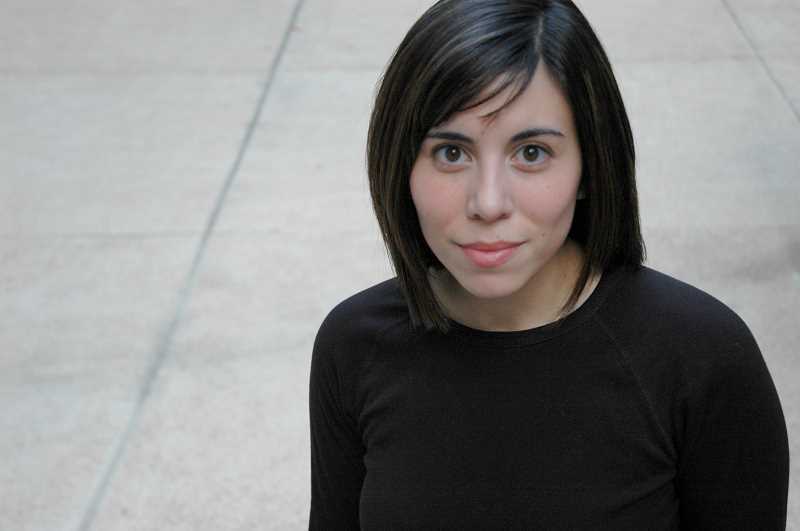 "I was shocked — it was a like a jolt to me to recognize that people could write about (common Hispanic interests like) the lottery and laundry and that it was still considered literature." 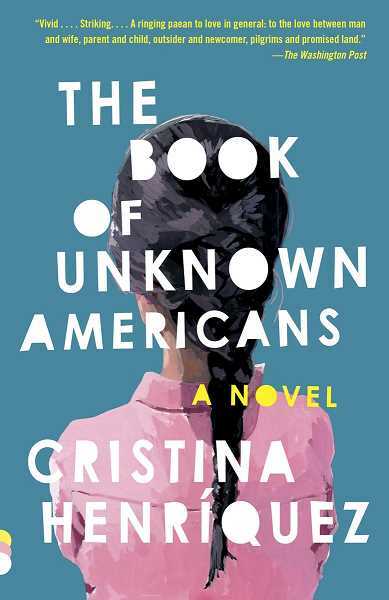 Henriquez is the author of "The Book of Unknown Americans," this year's Lake Oswego Reads selection. She will be in Lake Oswego for an onstage conversation scheduled for 7 p.m. on Wednesday, Feb. 13, at Lake Oswego High School — one of the most anticipated events of the citywide reading program. Published in 2014, Henriquez's novel is a story of hopes and dreams, guilt and love. It examines life in America today from the perspective of various immigrants — primarily the Toro and Rivera families — while also offering insights into the lives of others living in the apartment complex where it's set. Henriquez remembers when she fell in love with writing and knew she wanted to pursue a career as a writer. She had been given a journal by a boy on whom she had a serious crush, with instructions to write down everything she wanted to say to him and then give it back in a year. "At first the entries were all about him," she said. "Then about three weeks into it, I recognized how much I enjoyed sitting down and writing every night. It was liberating! I wrote the whole year and then gave it back to him." By that time, she had fallen out of love with the boy — and into love with writing. Born in the United States to an American mother and a Panamanian-immigrant father, Henriquez and her family made trips each summer to visit family in Panama. "We would select books to keep us occupied on the flight," she said. "Books were a refuge, the stories welcoming and warm, but I never saw anyone like me in them." Something was missing, but it wasn't until she read "The House on Mango Street" that she recognized exactly what was lacking. "I had ignored the Panamanian side of me," she said. "It seemed that only the Anglo portion was important." She also recognized there were no authors who looked like her and that "literature has left whole slots of the population out of the loop." Today, she says, there is a big push for diverse literature, and people enjoy reading stories of other people and cultures. "When you can see yourself in books, on television, in films, it is a confirmation of yourself," she said. She says her favorite character in "The Book of Unknown Americans" is Mayor (pronounced (MI-yor). "He was the first character I conceived and I think he has some of the identity issues I can relate to," she said. LO Reads organizers say Henriquez's novel "examines the relationships between an husband and a wife, parent and child, and the newcomer and the outsider, in the fertile yet fragile landscape of the American dream." Henriquez calls it "a love story of parents doing what's best for their child." "It's about immigrants, and it's really multiple stories and the importance of everyone," she said. "It's about people who might be overlooked if we don't break the world open a bit." Henriquez says she has made many presentations about "Unknown Americans" and "it never gets old." She said she's also looking forward to visiting with students while in Lake Oswego. "They always ask the questions nobody has the guts to ask, like, 'How old are you?'" she said. "The book also connects young to the old. My intent was to write a good story with characters who were real and believable. It's been really special to hear how the book has impacted readers." She shared a story about a boy in California who read a passage in the book to his mother, in which an immigrant was being taunted by white people who told him to "go back home." The immigrant replied, "I'm already home," which brought tears to the mother's eyes. Henriquez says the book is an homage to her father and his journey, and that it took her five years to write "The Book of Unknown Americans." "You may not see yourself (in "Unknown Americans") ethnically or culturally, but I think it has something for everybody," Henriquez said. Seating is limited in the LOHS auditorium; the event is free, but tickets are required. (A ticket giveaway was held on Jan. 26.) Those without tickets will be allowed to take unfilled seats at 6:45 p.m. Those wishing to submit questions for the onstage conversation are invited to post them online at lakeoswegoreads.org/question. Now in its 13th-year, Lake Oswego Reads organizers have created nearly 40 events intended to give readers an enhanced experience while reading "The Book of Unknown Americans." The events include lectures, dance, musical performances, cooking demonstrations, a food truck visit and much more. View the complete schedule online at lakeoswegoreads.org or pick up a printed schedule at the library (706 Fourth St.) or at The Lake Oswego Review office (400 Second St.).